It’s one of the most iconic sights in the world; a huge fissure in the middle of the Arizona desert that is 18 miles across at its widest point, with steep sides that stretch to 1.5 km deep. This canyon is so large that it takes 4 and a half hours to drive from one side to other and has a dramatic change in temperature between the top and bottom of the rim. It’s a fluctuation of about 20 degrees! Forget the measurements though. That’s not what’s important, when you first lay eyes on it. As soon as you take in the incredible view of the other side, particularly as the sun rises or sets and you get to witness the changing panoramas, you’ll be astonished. As well as the natural beauty of the area, you’ll also need to keep your eyes peeled for canyon wildlife, such as mountain lions, elk, deer, bald eagles and sheep. You might even see the Californian condor flying overhead. 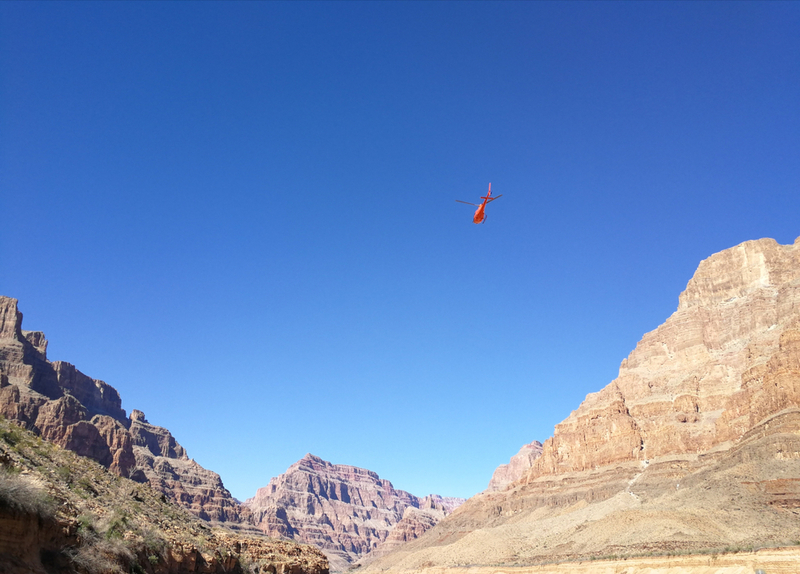 There are a couple of popular ways to explore the canyon. You can take a helicopter ride from one side to the other, or follow the hiking trails. Whichever you choose, you’ll be exposed to layers of colourful strata and an awe inspiring rocky wilderness. 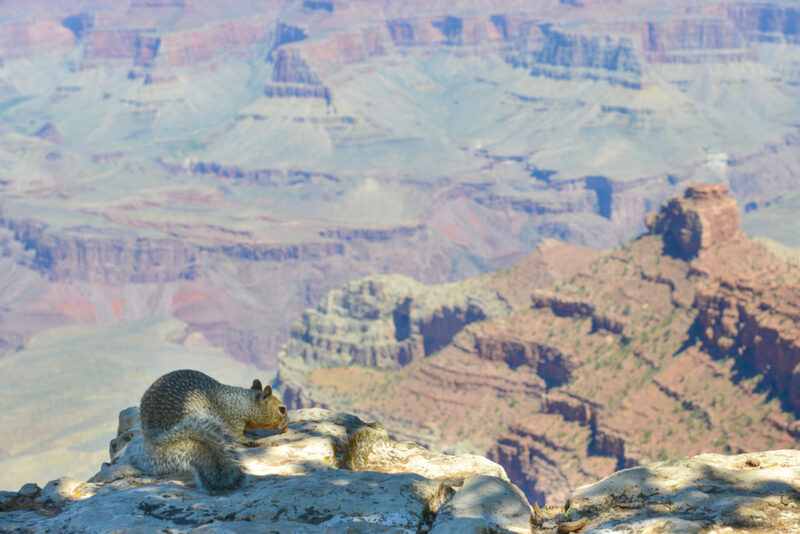 What else can you see on a Grand Canyon holiday? It’s perfectly reasonable to include a trip to California or Las Vegas in your holiday to this part of the world. You might want to discover the charm of the Golden Gate Bridge and some incredible beaches, or go off in search of the West Coast’s favourite tipples in the Californian winelands. LA is obviously full of glamour and high-living, while Las Vegas is a playground for the rich and not-so-rich, to live life to excess. If you want to explore an even wider area, you might want to drive down the iconic Route 66, which begins in Chicago and ends up in the far west. Or, if you fancy visiting the attractions of the American music cities like Memphis, Nashville and New Orleans, there are plenty of themed escorted tours that will take you to important buildings of the scene and give you nights of live music. Canyon enthusiasts might consider a tour that takes in some of the biggest canyons in the USA – Zion and Bryce to name just a couple. Our team of experienced travel advisors here at Aspen Travel partners with a number of internationally respected tour operators to bring you holidays created by experts in their fields. Great Rail Journeys provide luxury rail travel across great swathes of the North American countryside, while Riviera Travel can get you onboard the Queen Mary 2 for an all-inclusive cruise across the Atlantic. Intrepid, Titan Travel and Kuoni are all escorted tour providers who will give you a personal tour manager to ensure you visit all the highlights of a country, get you on your transfer flights on time and check you into your overnights. 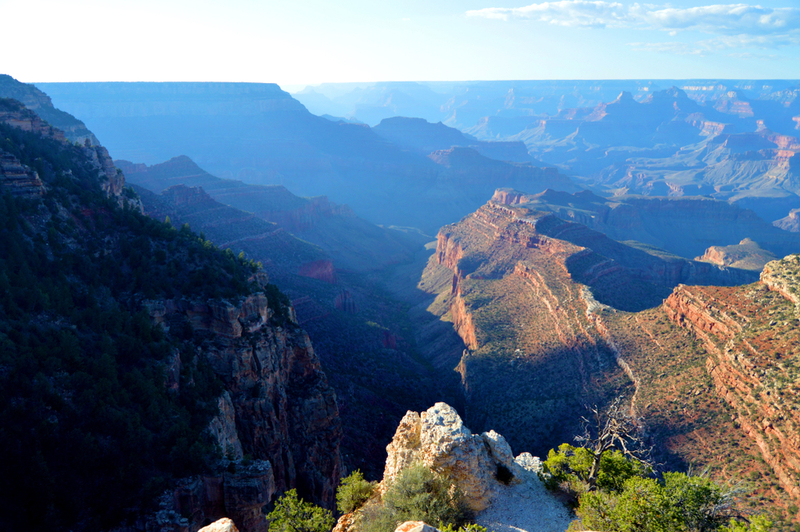 For more details on any of our trips to the Grand Canyon, please get in touch. Our talented team will be able to answer all your queries and make the booking for you.